I want to live inside this book. 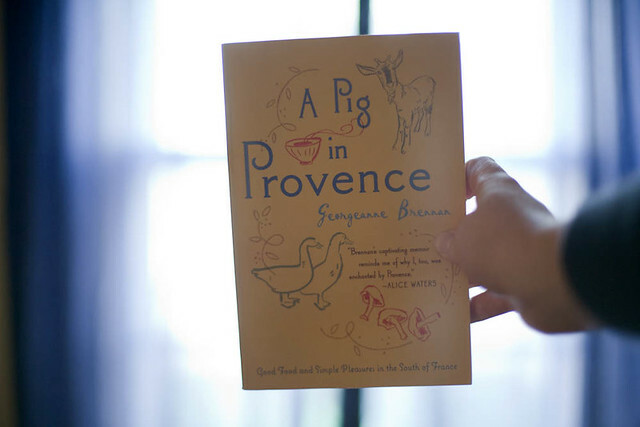 Or, more accurately, I want to move to Provence, and live in a small farm village where community and work revolve around the kitchen and the table. A friend recommended this book to me, and we’re both reading it this spring. It’s preparation for a trip we hope to take to Europe this year, and great inspiration for a few creative ideas we’ve been brewing. The only downside to this book is that reading it made me incredibly hungry. ooh, i’m loving your book posts. i’m also trying to read more. thanks for the recommendations!